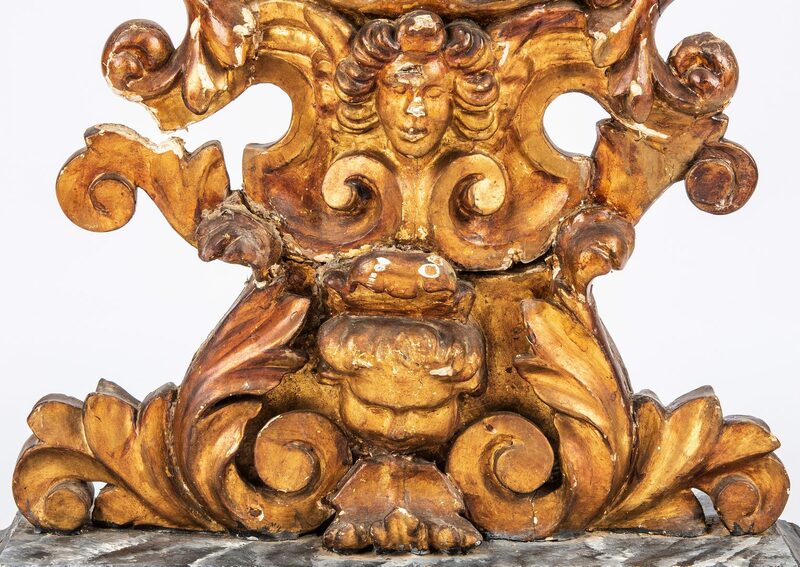 Italian (possibly Sicilian) baroque style giltwood reliquary or shrine altarpiece. 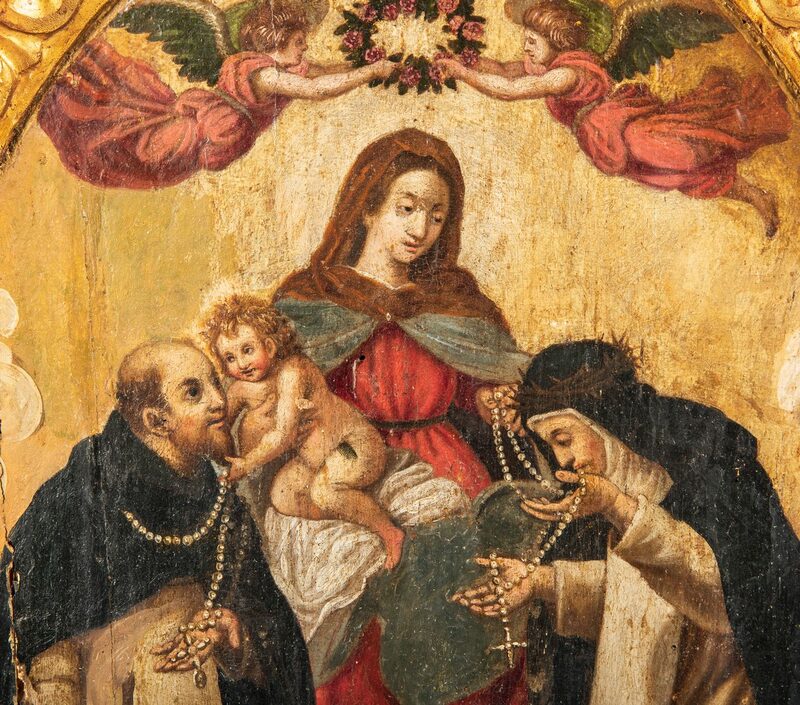 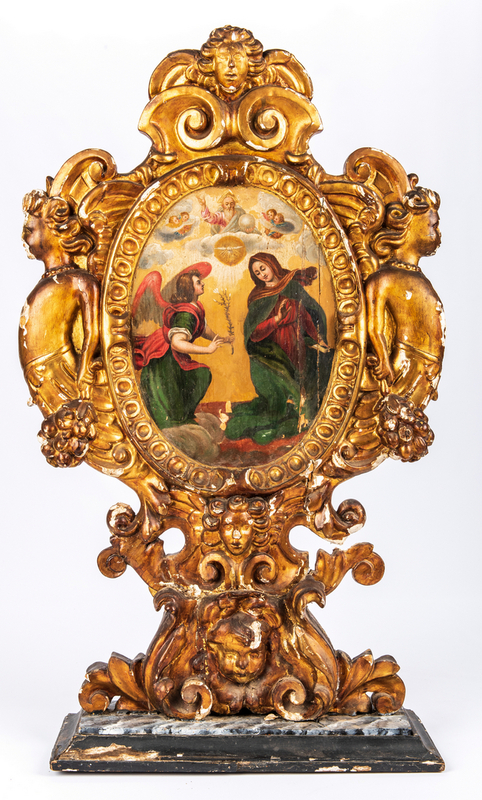 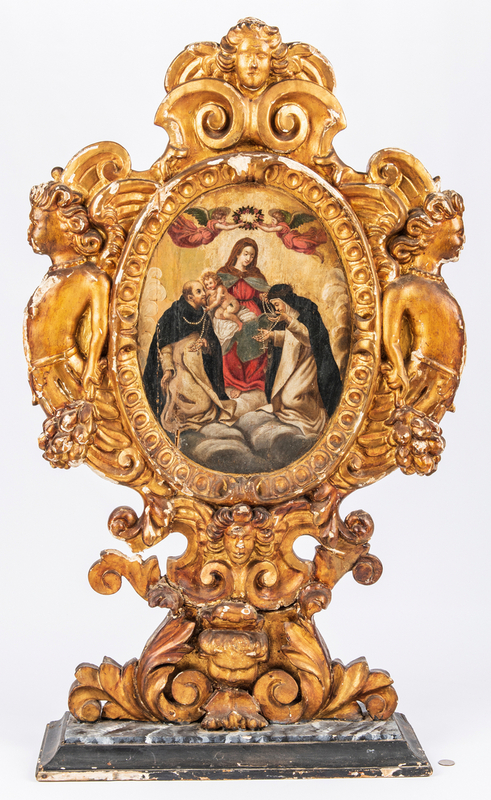 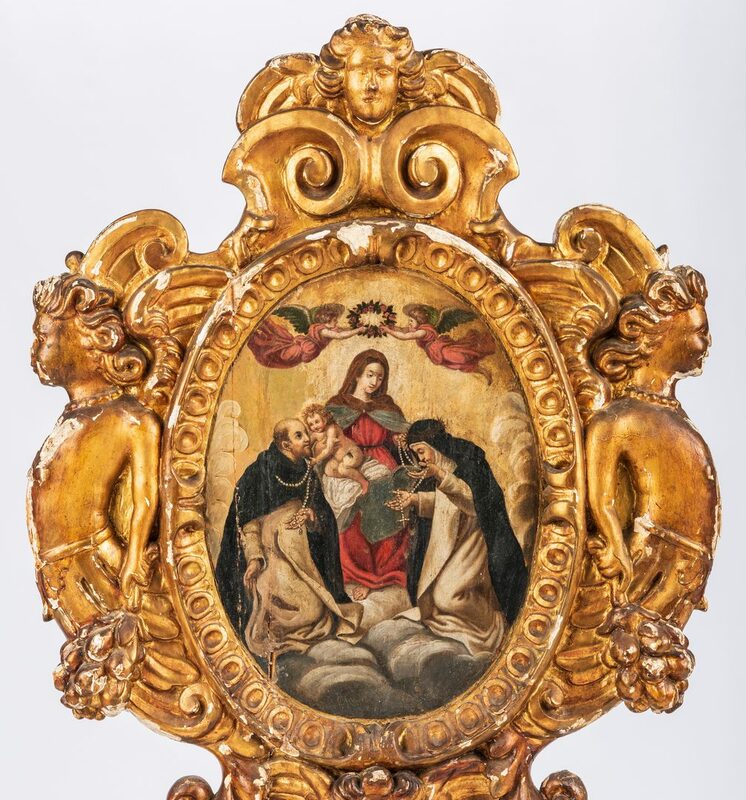 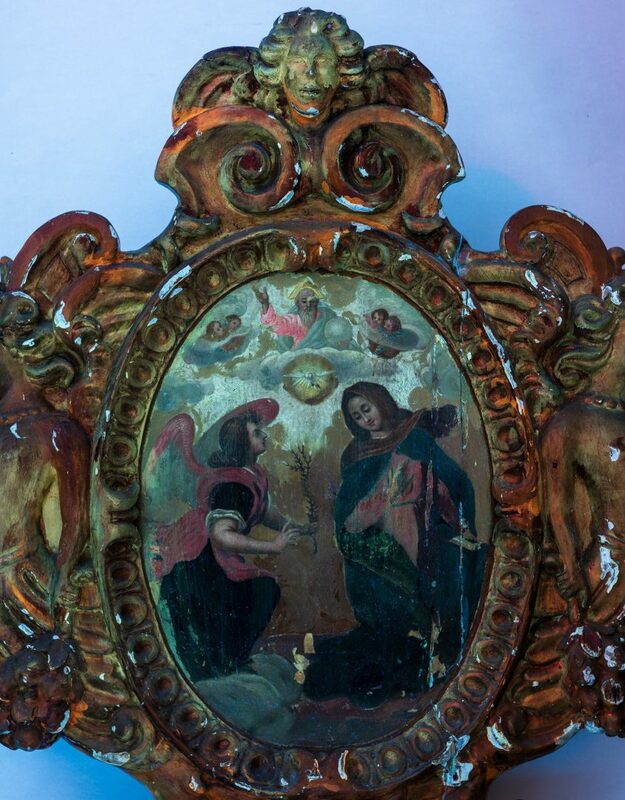 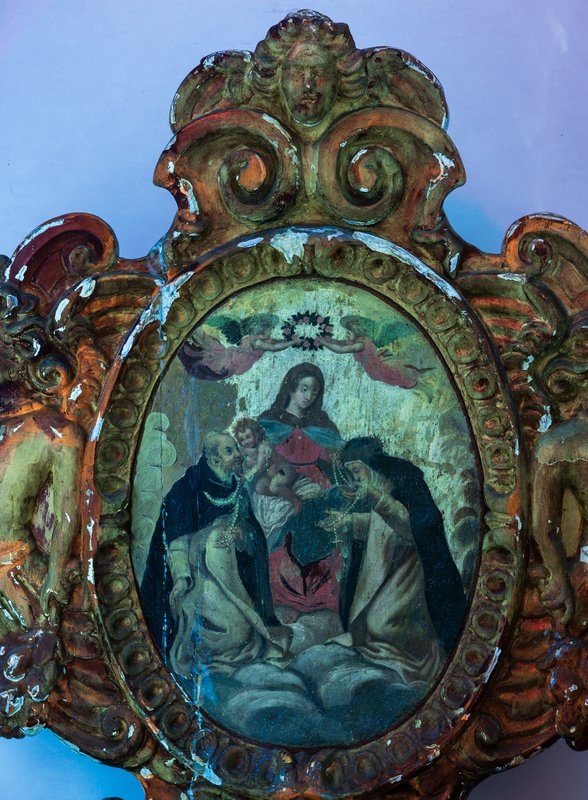 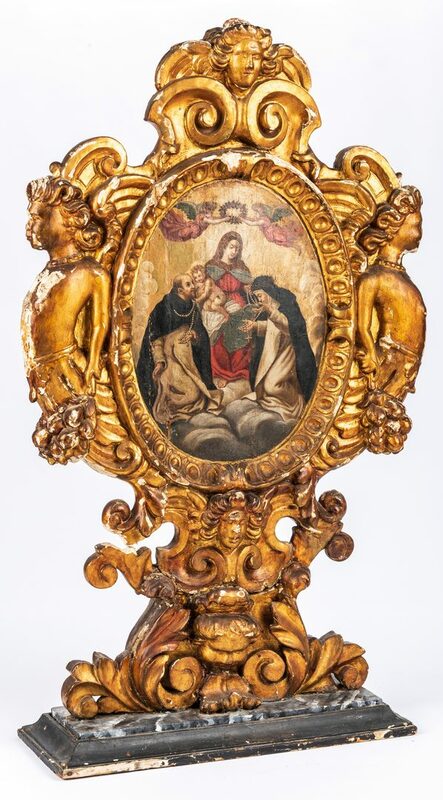 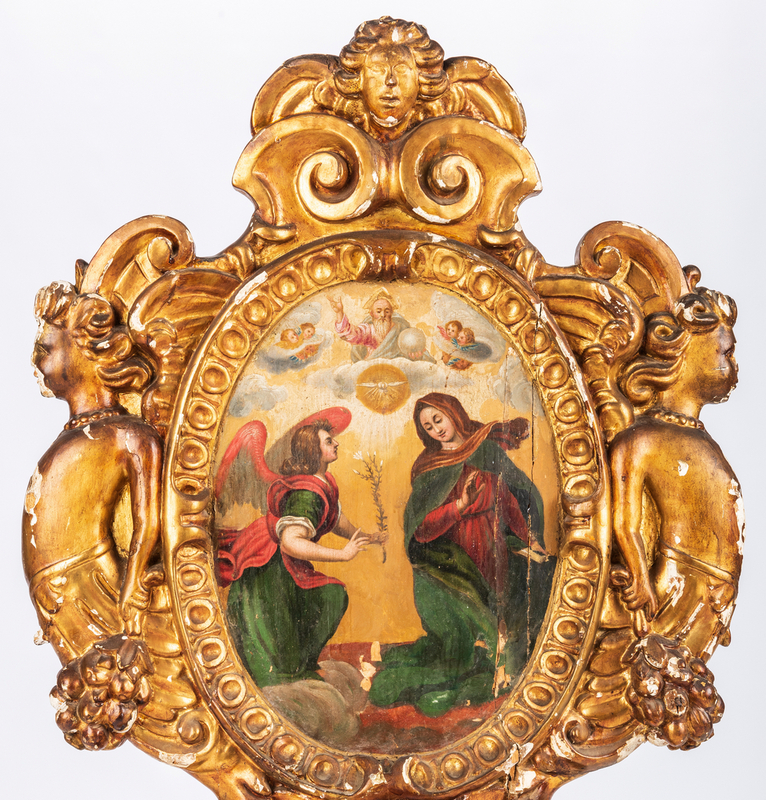 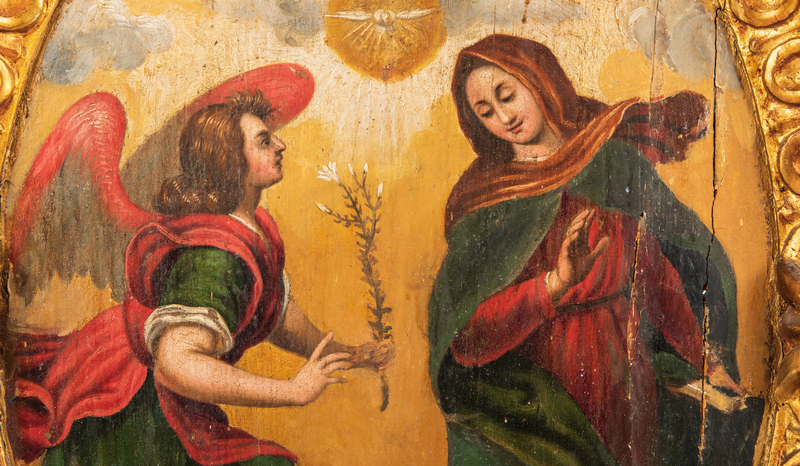 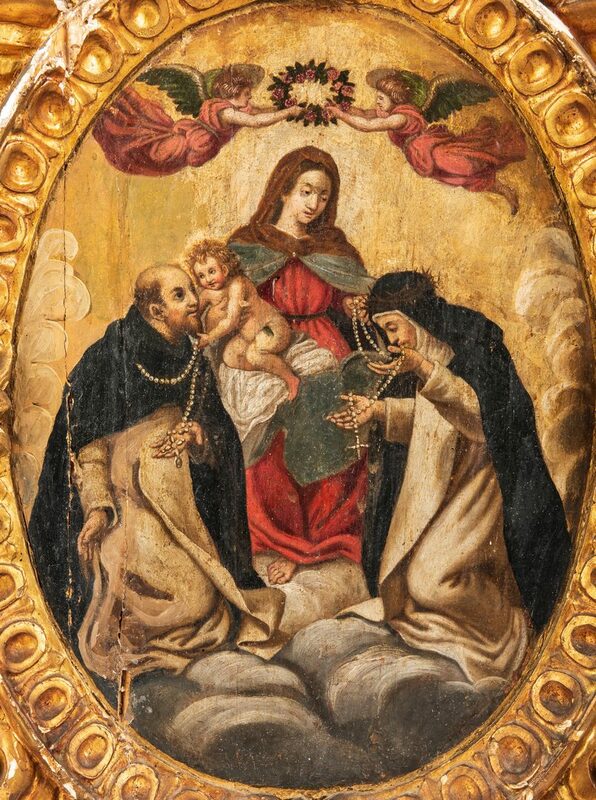 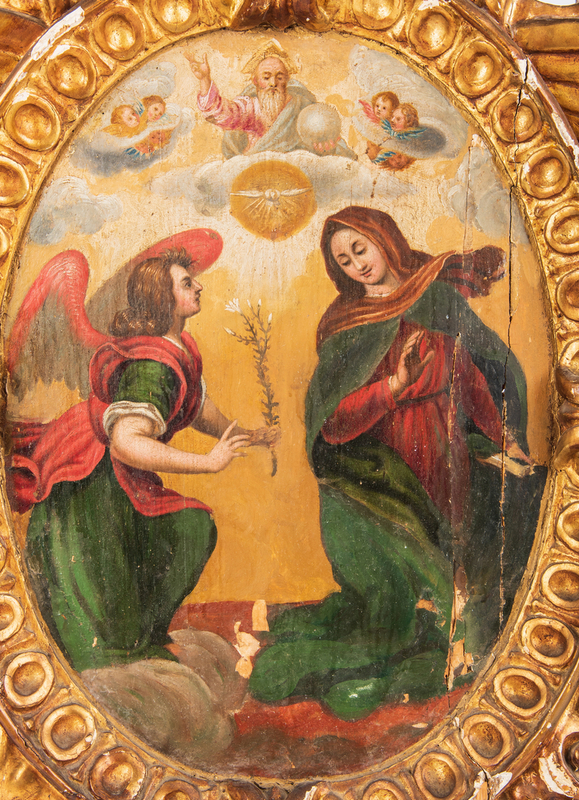 Oil on panel oval reserve depicting the Annunciation on one side and the Madonna and Child with two saints on the other; surrounded by an ovolo molded frame flanked by carved caryatids at each side, figural masks at upper and lower edge, all atop a heavily carved foliate base with possibly later marbelized trompe l'oeil painted surface. 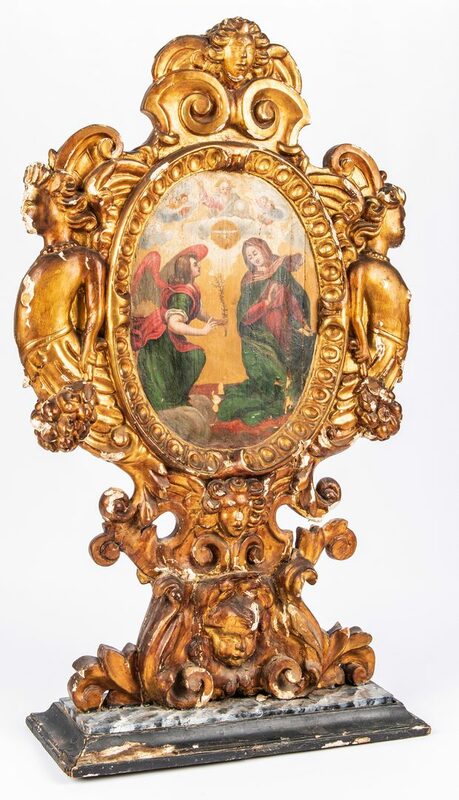 42" H x 24" W x 9" D. 18th century or earlier. 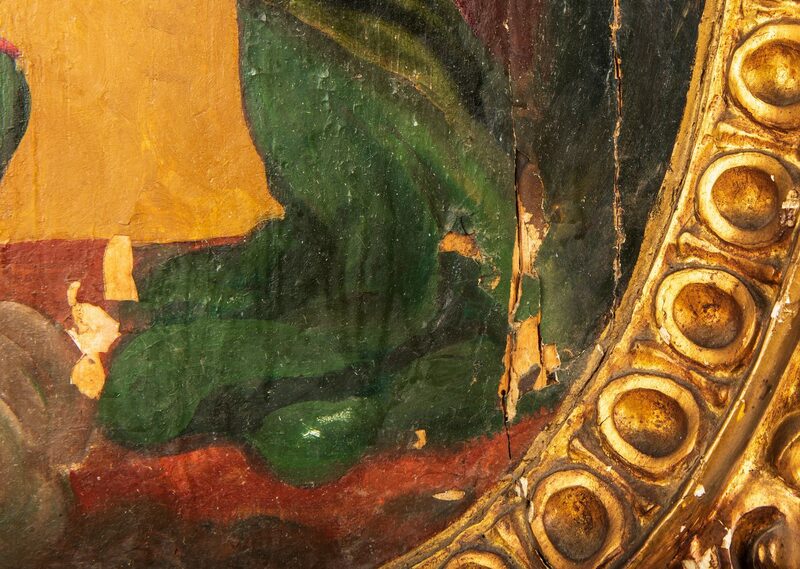 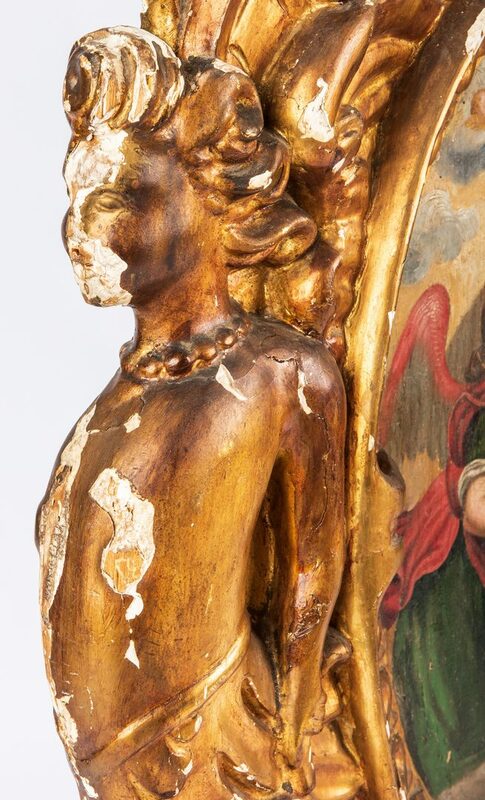 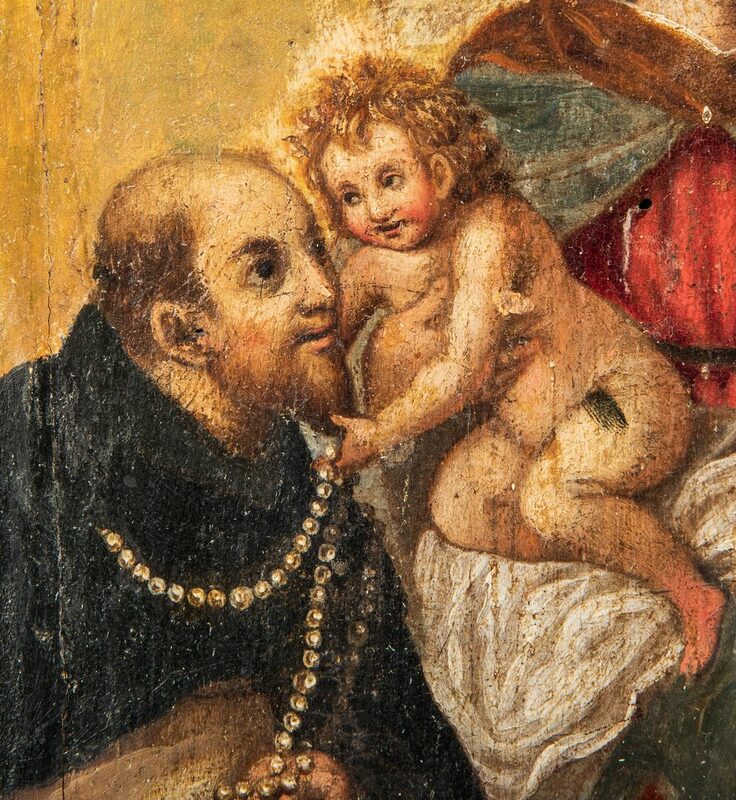 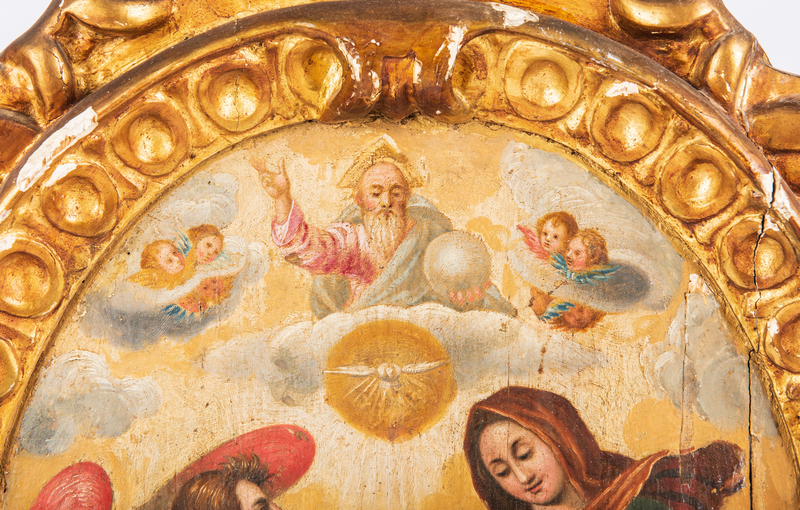 CONDITION: Shrinkage crack running entire length of oval panel, affecting image on both sides with likely inpainting, two 1" areas of paint loss to one side of panel (Annunciation); marbelized paint on base may not be original; scattered but significant wear to gesso; scattered wear and losses to carved elements, the largest being a 6" loss to the side of the base. 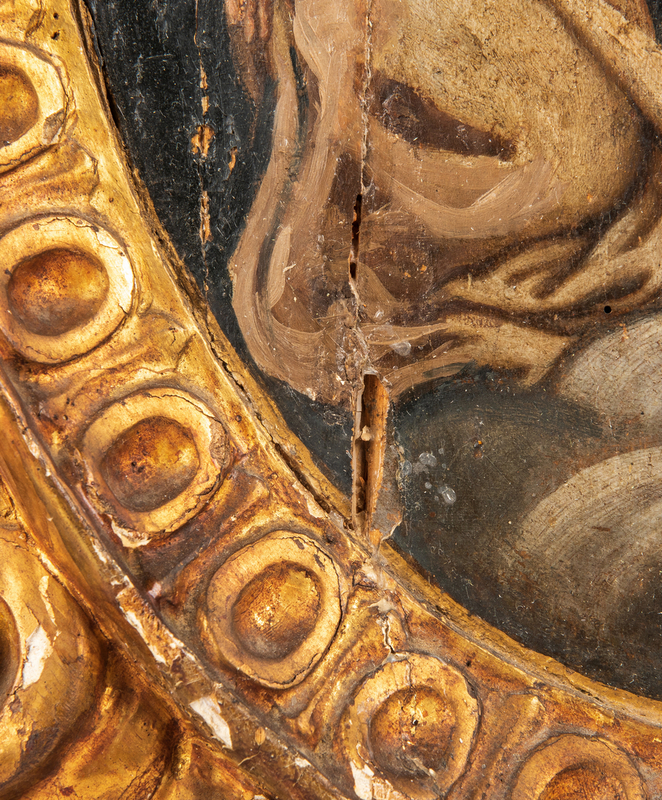 Scattered repairs to carving and touchups. 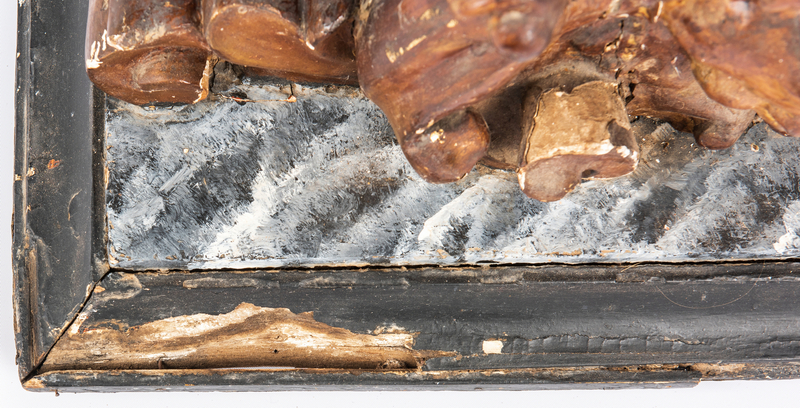 Late 19th century nail repair to top near masks.